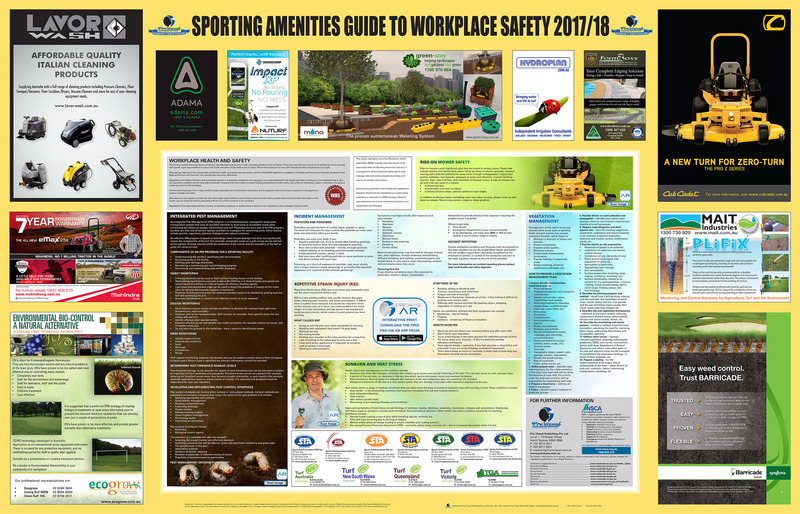 The Sports Turf Association Victoria is pleased to be supporting Pro-Visual Publishing and the annual release of the Sporting Amenities Guide to Workplace Safety. The 2017/18 edition has effectively incorporated a range of relevant health and safety issues that can affect workers on a daily basis, for example ride-on mower safety, incident management and sun safety. Additionally, the Augmented Reality capabilities are effective in providing a window to further resources and are useful for training staff in correct health and safety procedures. The Sports Turf Association Victoria would also like to acknowledge the sponsors of the guide who make it possible to distribute this resource free of charge.